Whether it’s the taste of it, or just a placebo effect, some foods just *need* tomato sauce. Drain the tomatoes as much as you can. Draining the excess liquid will help to keep your sauce nice and thick once it’s blended. Add all the ingredients to a small food processor or blender and blend until completely smooth. 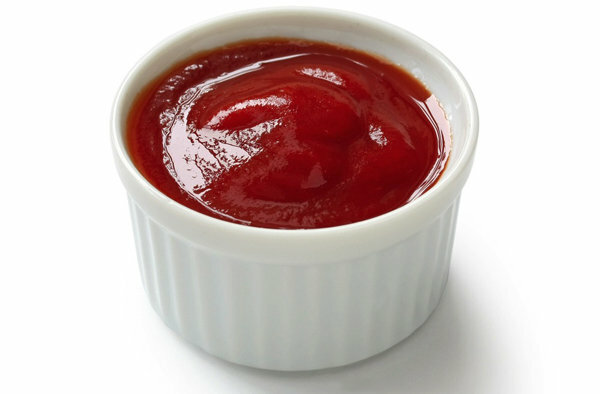 Tip: It’s always preferable to store foods in glass, but if you have fussy eaters who are conditioned to having their tomato sauce in a plastic bottle, I’d recommend purchasing a squeezie bottle and decanting your homemade sauce in to that (or an old bottle of store bought sauce). They will be none the wiser!